We’re all about teamwork here at David Dexters and pulling together and supporting one another is a strong ethos that we’re very passionate about. 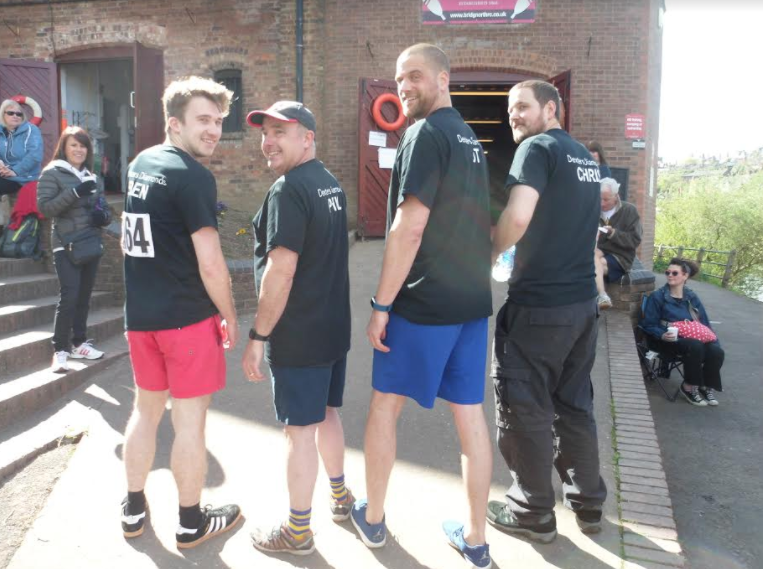 On Sunday a team of very enthusiastic staff members accompanied by one member of our PR team took part in the Bridgnorth fun rowing regatta hosted by the Bridgnorth Rowing Club. 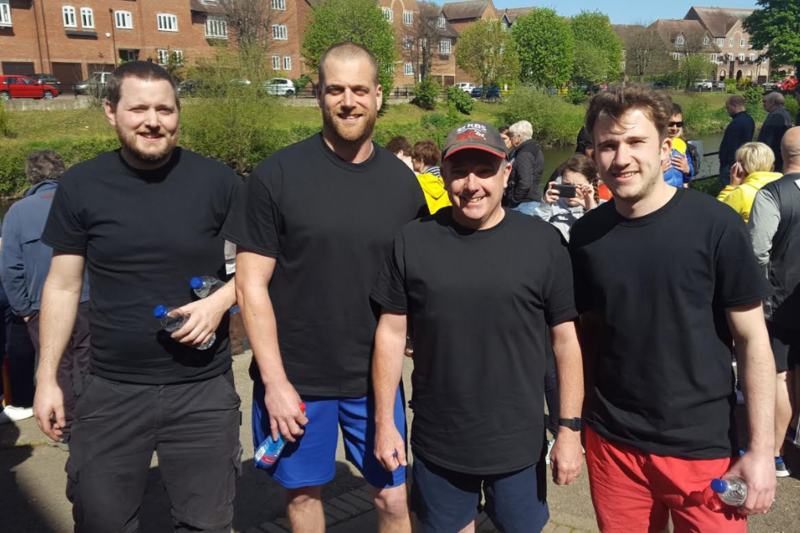 Our team, aptly named Dexters Diamonds, comprised of Chris, Ben and Phil from our service centre and JT from J&PR. 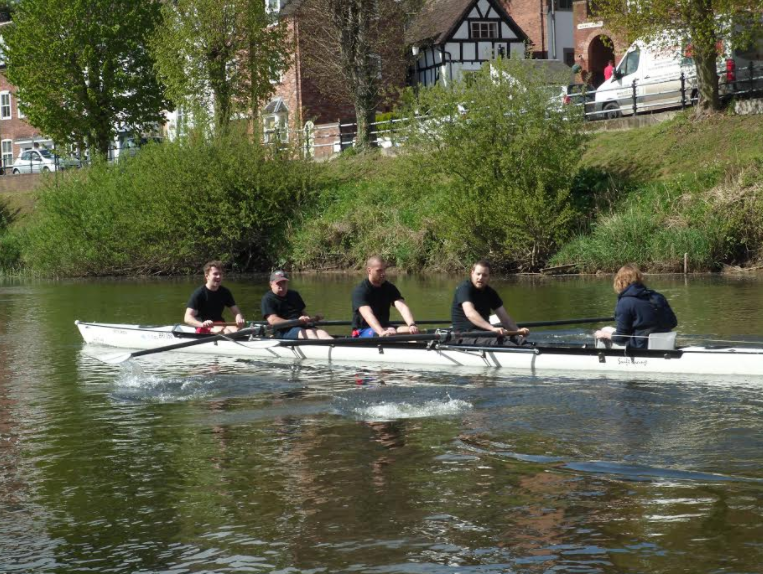 The four strong novice rowers had to take part in two training sessions prior to the event – under the watchful eye of experienced oarsman and club captain Alan Champion. Session one focussed on technique and the team had a warm up on the rowing machines to get an idea of posture and to see if they could keep in time within each which is crucial for an event such as this. After that it was straight onto the water where it was decided, given Chris’s ability with timing belts, that he would be stroke. Simply put, it was Chris’s job to set the pace and for the other three to keep time with him. Ben was positioned at the back in the bow and found out quickly that you must obey the cox at all times. Alan was a great coach and was very disciplined, he expected the boys to do as they were told when they were told. Timing was hard to master but when the second session came around it was as if Alan was coaching a totally different crew – all the crew were in good time and making the boat slice through the River Severn. When the day of the regatta arrived Dexters Diamonds were placed in group two, where they would have three guaranteed races with the group winner going through to the final. The crew got off to the best possible start winning their opening race by one boat length and confidence was high. 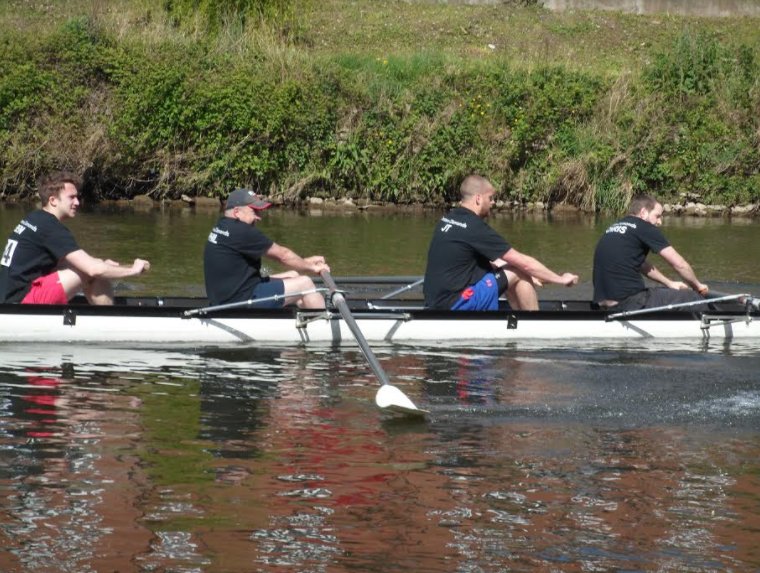 The second and third races were a lot tougher and despite some great rowing the team was beaten on both occasions. The result could hardly dampen their spirits as they had thoroughly enjoyed the day and at the same time understood what teamwork is all about. We’d very much like to thank Alan Champion for his coaching tips, especially his patience and to the rowing club for putting on such a fantastic event. Alan said of the Dexters Diamonds crew: “Being stuck up at the start, I was unable to follow their progress, but I would like very much to pass on my appreciation of their participation. What we learned from the training and the event in general is that if everyone pulls together at the same time, great things can be accomplished. Here are a few other images from the day!